It’s the final week of school holidays and there’s been plenty of sewing going on here (not much else to do in the middle of a heat wave). Our family attended a fancy dress birthday on Saturday, with the theme of L, E or B (being the initials of the birthday girl). Unfortunately the 38 degree weather ruled out me going in my bear costume (ditto Eskimo, Everest ascender, Laplander, etc). It was an outdoor party but there was shade and lots of cold drinks. 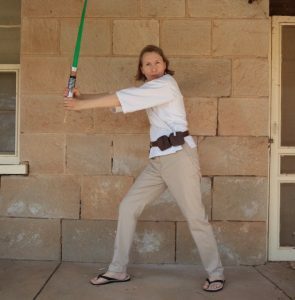 I went as Luke Skywalker, in a white karate top, belt and taupe trousers all from the op shop, and a light saber from the toy box. I didn’t wear the thongs to the party, by the way, but I wished I had! My husband went as an Engine Driver, with a ready-made outfit from his steam engine driving days. 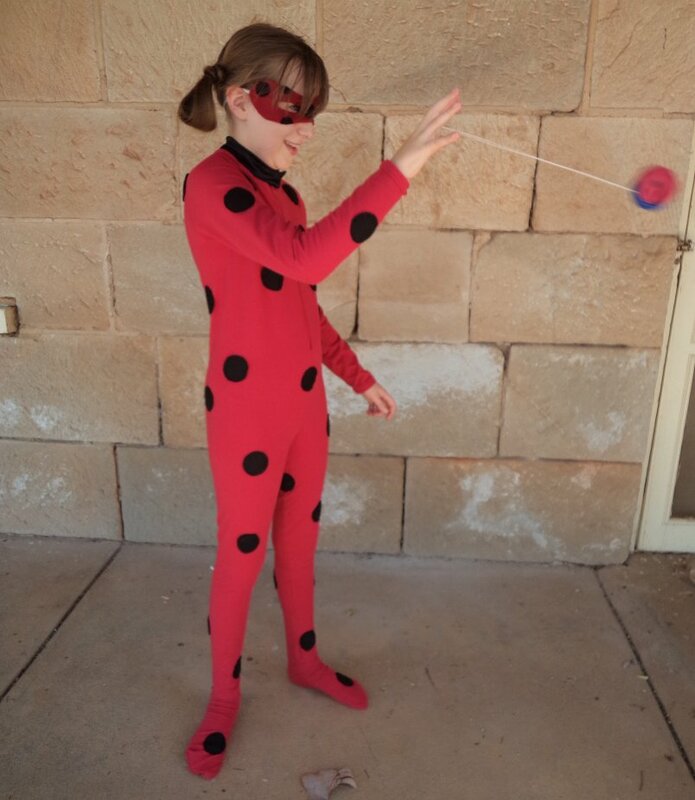 My nine year old daughter went as Ladybug Miraculous, a superhero TV show they like to watch. I combined leggings and a rash top pattern to make a catsuit and added feet. The fabric was from my stash (although it was earmarked to make knickers for me. Farewell, red cotton lycra!). 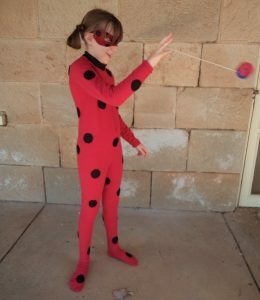 I sewed, rather than glued, black felt circles for the ladybug spots, in case we wanted to remove them for an Incredibles costume or something else later. 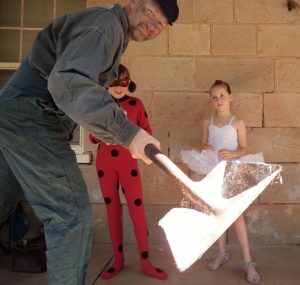 My six year old daughter came as a Ballerina, the most sensible costume for the weather (I dissuaded her from wearing ballet tights), although I had to lower the girl into a vat of sunscreen before we left. 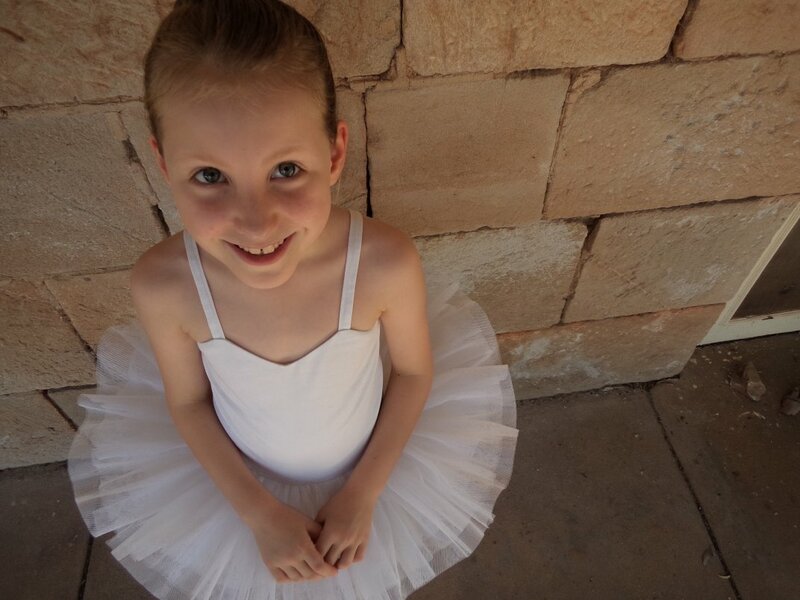 She wore a tutu I made during the week. I’ve never made a tutu before, but she spotted a pattern in Enid Gilchrist’s Fancy Dress book. I’ve never used an Enid Gilchrist pattern before either (Have you? How did you go with it?). 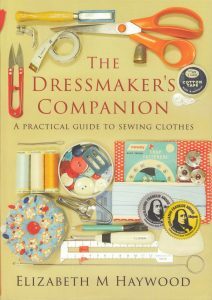 I found the sewing instructions very helpful to understand how to construct it. It took a couple of fittings, being several inches too big in all directions (it was for a 9-10 year old). 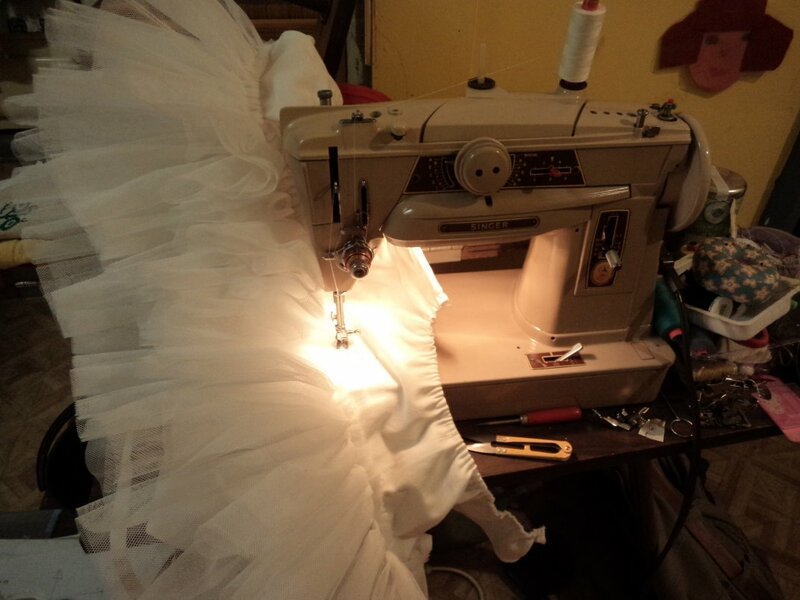 We had the white fabric and tulle in my stash (it did come in handy one day!). I confess it is not often I loose my cool while sewing, but I just couldn’t manage to wrestle with sew the last two lines of gathered tulle, however it ended up looking ok without them. Would you believe I’m not even half way through the skirt ruffles yet? There were lots of really great costumes at the birthday. The birthday girl dressed as an Egyptian. 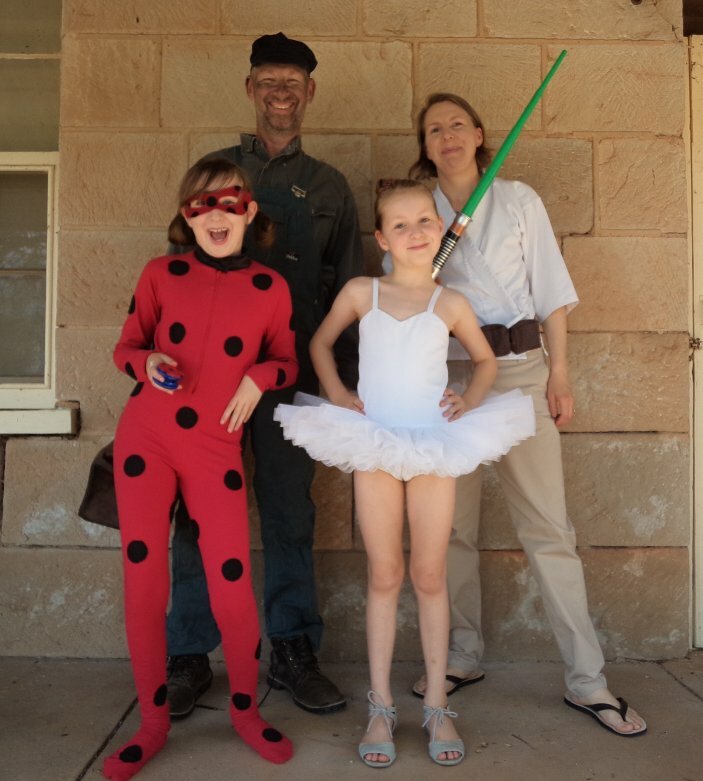 Some couples came in matching costumes (I didn’t think of this)- there was an Emperor and Empress, Bond (as in James) with his Bond girl, and a Bogan Bridegroom and Bridesmaid. 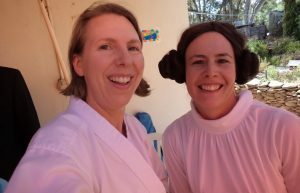 There was another Luke Skywalker and a Princess Leia too. There was a Bushranger who had to be almost cut out of his Ned Kelly costume so he could sit down. An Einstein, Ladybug, Bob the Builder, Betty Rubble from The Flintstones, Boxer (complete with black eye), Elephant, Lucy Pevensie, Barbie, and a Bad Electrician with a blackened face and crazy hair. Hilariously, one man came as “all three letters”: he was Princess Leia at the top down to his armpits, then on his torso was a large golden oval labelled “Egg”, then he was a Builder from the waist down! Those are some fabulous costumes! I have made a couple of things from Enid Gilchrist patterns: a pleated skirt which fitted like a dream and a dress that was about six sizes too big, despite using a block that supposedly fitted my measurements. They are fabulous books, though – I always look out for them in op shops and garage sales. I love your machine, too. Is that your main sewing machine? It’s gorgeous. Thanks Katie. Might try and sew a few more Enid Gilchrists this year. Yes, that machine is my “everyday drive”, bought 20 years ago from a second hand shop. It was advertised as The Best Machine Ever Built in its day (1964) and it is enjoyable to sew with.